Right whales, one of the most endangered marine species on the planet, were so named by whalers for being the "right" whales to spear -- slow moving, surface-going, easy to spot and kill. But nearly a century after being hunted to near-extinction, the species is once again becoming harder and harder to find, but this time no one's quite certain where they've gone. Two years ago, biologists charged with surveying North Atlantic Right whales along their native feeding grounds, between Buzzards Bay in Massachusetts to the Canadian border, counted 419 whales out of an estimated 510 believed to be in existence. Last year, however, that number dropped to just 50. And this year is shaping up to be even worse -- with just one whale being spotted a month into the search. "Years like this, we do scratch our heads and wonder, did they all go over the waterfall?" says marine biologist Tim Cole, in the Cape Cod Times. Other native feeding spots have seen similar declines in recent years, perhaps due to reduced food supplies. Right whales feed on zooplankton, but because of recent abnormally high water temperatures along the coast of New England, the small prey have been in short supply during what is normally peak season. 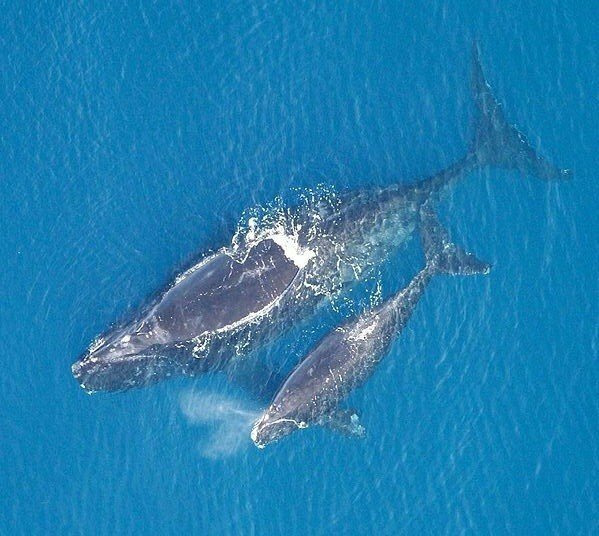 Right whale researcher Amy Knowlton says that fact may have caused the species to seek food elsewhere, beyond where scientists are expecting them to be -- an optimistic explanation to what she calls "a very dramatic decline." "That's what everybody is theorizing," says Knowlton. "They are a lot better than we are at finding food. They could be anywhere." Although North Atlantic Right whale populations improved after hunting them was banned in the 1930s, their recovery continues to be dampened by boat strikes and fishing gear entanglements. So if the dwindling species has indeed moved to new waters, with any luck the whales are finding it free of human meddling.